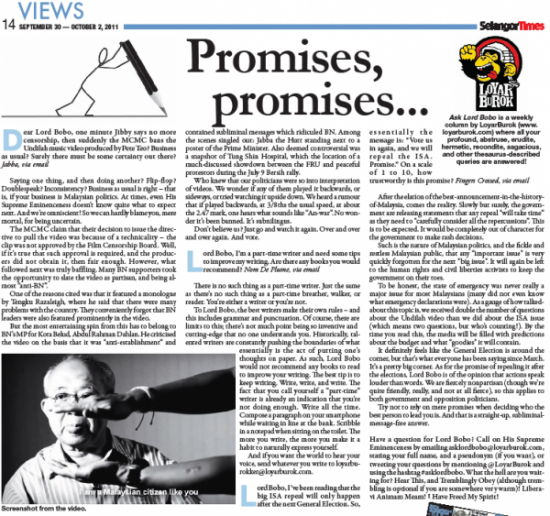 From the Selangor Times Issue 42, 30 Sept – 2 Oct 2011. Ask Lord Bobo is a weekly column by LoyarBurok where all your profound, abstruse, erudite, hermetic, recondite, sagacious, and other thesaurus-described queries are answered! Saying one thing, and then doing another? Flip flop? Doublespeak? Inconsistency? Business as usual is right – that is, if your business is Malaysian politics. At times, even His Supreme Eminenceness doesn’t know quite what to expect next. And we’re omniscient! So we can hardly blame you, mere mortal, for being uncertain. The MCMC claim that their decision to issue the directive to pull the video was because of a technicality – the clip was not approved by the Film Censorship Board. Well, if it’s true that such approval is required, and the producers did not obtain it, then fair enough. However, what followed next was truly baffling. Many BN supporters took the opportunity to slate the video as partisan, and being almost “anti-BN”. One of the reasons cited was that it featured a monologue by Tengku Razaleigh, where he said that there were many problems with the country. They conveniently forgot that BN leaders were also featured prominently in the video. But the most entertaining spin from this has to belong to BN’s MP for Kota Belud, Abdul Rahman Dahlan. He criticized the video on the basis that it was “anti-establishment” and contained subliminal messages which ridiculed BN. Amongst the scenes singled out – Jabba the Hutt standing next to a poster of the Prime Minister. Also deemed controversial was a snapshot of Tung Shin Hospital, which the location of a much-discussed showdown between the FRU and peaceful protestors during the 9 July Bersih rally. Who knew that our politicians were so into interpretation of videos. We wonder if any of them played it backwards, or sideways, or tried watching it upside down. We heard a rumour that if played backwards, at 3/8ths the usual speed, at about the 2.47 mark, one hears what sounds like “An-war”. No wonder it’s been banned. It’s subnilingus. Don’t believe us? Just go and watch it again. Over and over and over again. And vote. There is no such thing as a part-time writer. Just the same as there’s no such thing as a part time breather, walker, or reader. You’re either a writer or you’re not. To Lord Bobo, the best writers make their own rules – and this includes grammar and punctuation. Of course, there are limits to this; there’s not much point being so inventive and cutting-edge that no one understands you. Historically, talented writers are constantly pushing the boundaries of what essentially is the act of putting one’s thoughts on paper. As such, Lord Bobo would not recommend any books to read to improve your writing. The best tip is to keep writing. Write, write, and write. The fact that you call yourself a “part-time” writer is already an indication that you’re not doing enough. Write all the time. Compose a paragraph on your smartphone while waiting in line at the bank. Scribble in a notepad when sitting on the toilet. The more you write, the more you make it a habit to naturally express yourself. And if you want the world to hear your voice, send whatever you write to [email protected]. After the elation of the best-announcement-in-the-history-of-Malaysia, comes the reality. Slowly but surely, the government are releasing statements that any repeal “will take time” as they need to “carefully consider all the repercussions”. This is to be expected. It would be completely out of character for the government to make rash decisions. Such is the nature of Malaysian politics, and the fickle and restless Malaysian public, that any “important issue” is very quickly forgotten for the next “big issue”. It will again be left to the human rights and civil liberties activists to keep the government on their toes. To be honest, the state of emergency was never really a major issue for most Malaysians (many did not even know what emergency declarations were). As a gauge of how talked-about this topic is, we received double the number of questions about the Undilah video than we did about the ISA issue (which means two questions, but who’s counting!). By the time you read this, the media will be filled with predictions about the budget and what “goodies” it will contain. It definitely feels like the General Elections are around the corner, but that’s what everyone has been saying since March. It’s a pretty big corner. As for the promise of repealing it after the elections, Lord Bobo is of the opinion that actions speak louder than words. We are fiercely non-partisan (though we’re quite friendly really, and not at all fierce), so this applies to both government and opposition politicians. Try not to rely on mere promises when deciding who the best person to lead you is. And that is a straight-up, subliminal message free, answer. Have a question for Lord Bobo? 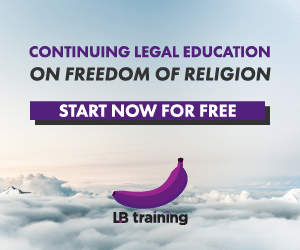 Call on His Supreme Eminenceness by emailing [email protected], stating your full name, and a pseudonym (if you want), or tweeting your questions by mentioning @LoyarBurok and using the hashtag #asklordbobo. What the hell are you waiting for? Hear This, and Tremblingly Obey (although trembling is optional if you are somewhere very warm)! Liberavi Animam Meam! I Have Freed My Spirit! 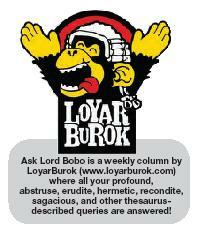 You can read archives of all the Ask Lord Bobo columns by clicking here. These are the divinely-inspired words of His Supreme Eminenceness Lord Bobo Barnabus PhD SP GBE OMGWTFBBQ. Posted on 12 October 2011. You can follow any responses to this entry through the RSS 2.0.